A Tampa man is facing his sixth DUI charge in 10 years after a hit-and-run crash in Miramar, according to police. At the man’s first court appearance, a Broward judge set bail at $85,000, after reviewing the man’s arrest record. The man apparently has three previous DUIs in Tennessee and two in Virginia. In this case, the man allegedly got into a crash and took off. The 46-year-old was apparently driving a 1998 red Ford Ranger in the 6800 block of East Woodscape Drive around 10:15 p.m. Sunday when he crashed into a 2013 black Ford Fusion, according to the arrest report. The man allegedly got out of the truck and ran away. Two of the passengers in the Fusion chased him and caught him at 6800 SW 41st St. and held him until police arrived, the report stated. Officers noted that the man had a strong odor of alcohol on his breath and bloodshot eyes. They conducted a roadside sobriety test and claim the man had difficulty standing up and maintaining his balance. The man was then taken to the Breath Alcohol Testing center, where he complained of pain in his arms, according to the report. Broward Sheriff Fire Rescue checked his condition and offered to take him to the hospital but the man refused. He also refused to take a breath-alcohol or physical dexterity test, according to police. He was charged with DUI, leaving the scene of a crash causing property damage and driving without a valid license. Florida law enforcement does not discriminate when it comes to charging individuals with driving under the influence. Numerous men, women, young adults, students and even celebrities face DUI charges in our state each year. 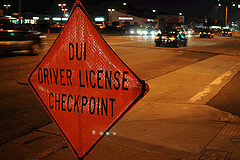 The penalties for DUI can include license revocation, jail time, fines and/or community service. However, if you were previously convicted of a DUI, the penalties you could face are much more severe. If you have multiple prior DUI convictions within a period of 10 years, this includes out of state DUI convictions, the fourth will most likely be charged as a felony. In addition to substantial fines and other consequences, a felony conviction will result in a mandatory prison, unless a deal is reached where you could possibly receive probation. In Florida, however, a state prison sentence is becoming more and more common. If you are seeking legal representation for a DUI-related matter or would like more information about how we may be able to help with your defense, contact a Florida DUI Defense Lawyer at Whittel & Melton today to set up your free initial consultation. You can reach us toll-free at 866-608-5529 or by contacting us online.